By accessing and using this website, you agree to accept and abide by the following terms and conditions and you agree to access and use this site entirely at your own risk. Any persons under the age of 18, using this website, confirm that they have the consent and approval of a parent or legal guardian to do so. If you do not agree to all of the terms and conditions, please do not continue to use the website. 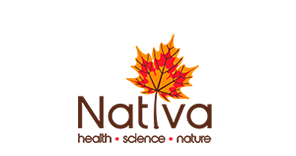 Unless otherwise stated, the contents of this website including, but not limited to, the text and images contained herein and their arrangement are the property of Nativa (Pty) Ltd. If you wish to opt-in for promotional activities, it may be necessary for Femagene®, a brand of Nativa (Pty) Ltd to disclose your personal information [as defined in the Protection of Personal Information Act 4 of 2013] to our employees, divisions or associates, suppliers and third party service providers who assist us to interact with you via our website, email or any other method, and also for delivering prizes (where applicable). By disclosing or submitting your personal information to us you consent to us processing your personal information for the purposes described in these terms. This includes: (a) your personal information being processed by Femagene®, a brand of Native (Pty) Ltd within the database; (b) your personal information being shared within the Femagene® a brand of Native (Pty) Ltd group of companies; (c) your personal information being shared with Affinity Associates and third parties who have a strategic marketing relationship with Femagene® a brand of Native (Pty) Ltd; (d) receiving printed and electronic marketing material to inform you of special offers and products that may be of interest to you; and (f) receiving marketing material from Affinity Associates and third parties who have a strategic marketing relationship with Femagene® a brand of Native (Pty) Ltd.
You have the right, in accordance with the relevant legislation, to (a) obtain access to your personal information held by Femagene® a brand of Native (Pty) Ltd; (b) to request the correction, destruction or deletion of your personal information held by Femagene® a brand of Native (Pty) Ltd; and/or (c) to object to the processing of your personal information. It furthermore remains your responsibility to inform Femagene® a brand of Native (Pty) Ltd of any changes to your personal information. You will only be contacted should you subscribe to our newsletter updates, like us on Facebook (www.facebook.com/Femagene), or indicate via email (health@nativa.co.za) that you wish to be informed of special offers and/or other offers. You may opt-out of any direct marketing received from Femagene®, a brand of Native (Pty) Ltd should you so elect, by notifying Femagene® a brand of Native (Pty) Ltd thereof in writing.